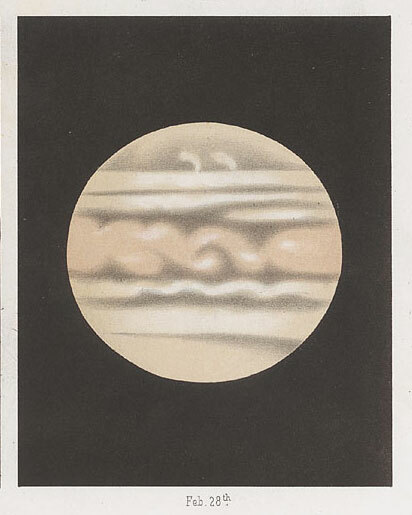 Image provided courtesy of the Wolbach Library, from the Annals of the Astronomical Observatory of Harvard College, Volume VII, via the Harvard University Library Page Delivery Service. Copyright of the image is owned by Wolbach Library. Etienne Leopold Trouvelot, was a fantastic sketch artist of the heavens. This Jupiter sketch is a fantastic example.